This work concerns the dynamics of a type of particle accelerator called a synchrotron, in which particles are made to move in nearly circular orbits of large radius. The stability of the transverse motion of such a rotating particle may be modeled as being governed by Mathieu’s equation. For a train of two such particles the equations of motion are coupled due to plasma interactions and resistive wall coupling effects.In this paper we study a system consisting of a train of two such particles which is modeled as two coupled nonlinear Mathieu equations with delay coupling. 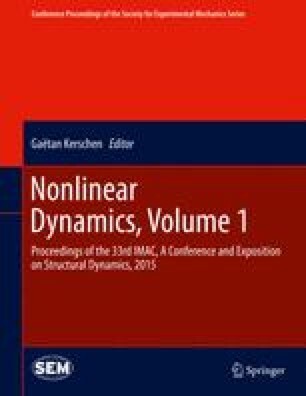 In particular we investigate the stability of two coupled parametrically forced linear normal modes. The authors wish to thank their colleagues J. Sethna, D. Rubin, D. Sagan and R. Meller for introducing us to the dynamics of the Synchrotron.